This title was the central test case for my proposed historiography in The Historiographical Jesus: Memory, Typology, and the Son of David. This book grew out of my Durham University dissertation of the same title. For more on this book, see here. In picking up this topic again, I have started to familiarize myself with how the research has evolved since I wrote the book. What is more striking by far is not the content of the research, but the media by which the content can be accessed. I began writing my dissertation in 2002. At that time I remembered thinking, how on earth did Joseph B. Lightfoot (or James D.G. Dunn for that matter) research and write without a computer? It still baffles the mind. I have heard horror stories of 3X5 cards cataloged in shoe boxes. The stuff of nightmares! But equally baffling is the dramatic advances made in virtual access just in the past ten years. For example, today I found myself staring, mouth agape, at an online pdf of Terence Mullins' "Jesus, the Son of David." This article was one of my white whales in 2002. I was hellbent on reading everything there was to read on the topic and I simply could not get my hands on this essay. The Durham University library is great, but this particular essay was nowhere to be found. I put in requests for inter-library loans to no avail. Other requests to Cambridge were met in a timely manner, but the library gargoyles were having fun at my expense in this case. This story is not uncommon among researchers. We all have our white-whale stories. It occurred to me today that had I waited a decade to write my dissertation, I might have spent considerably less time trying to harpoon a single essay. The era of the personal computer, the era of research software, the era of online access... my generation has no idea what it must have been like for our forebears. Yes, we have much more primary and secondary literature to read, but there is really no comparing these eras. Josh Mann interviews me about blogging over at his blog. His "Press Publish" series is an avenue for research for a forthcoming paper on blogging in religious studies. Check in with Josh early and often to see more in this series. It may be that Aslan sensed a tougher interview from Lauren Green than he is accustomed to. Hence he immediately went into high-dudgeon mode, and made the ten minutes all about her alleged disrespect of him and his alleged scholarly credentials. But in order to change the subject he told a string of gratuitous falsehoods about himself. Perhaps that master’s in fiction writing came in handy. Is Aslan’s book worth reading? I have no idea. But he has earned enough distrust from me that I haven’t any interest in finding out. Save five dollars by pre-ordering now. In the past few hours, I have been alerted by five different friends of this interview of Reza Aslan by Lauren Green of FOXNews. If you are a human who would like a reason to be ashamed of your species, I highly recommend viewing the nine-minute interview. I have been asked about Aslan several times since his book Zealot: The Life and Times of Jesus of Nazareth was published. To see some preliminary thoughts on this book by friend of The Jesus Blog, Larry Behrendt, click here. I am only a few chapters into the book myself, so I will withhold my thoughts on the book itself for now. A few words are warranted about this debacle of an interview. Lauren Green begins the interview in an almost accusatory tone. According to Green, the most important thing to know about Aslan is that he is a Muslim. She barely veils her contempt and is openly offended that a voice from Islam might have something to say about Jesus. She repeatedly returns to the fact of Aslan's heritage and faith. I think that this fact is interesting. Aslan disputes a handful of beliefs about Jesus by the Qu'ran and Hadith. I also think that a case might be made for an anti-American agenda (I will have to finish the book before I can speak intelligently about this). For both of these reasons, I think that asking Aslan about his motives for writing the book are warranted. But Green does so without courtesy or tact. Because she will not accept his answer, this interview fails to cover almost any of the topics related to the book. That Green calls the exchange "a spirited debate" at the end is comical. As one friend wrote me, the interview was "quite an exercise in refusing to listen to each other." For Aslan's part, it is generally bad form to cite one's credentials rather than supporting the merits of one's argument. Green made it about Aslan's qualifications, so Aslan was well within bounds to do so once. But to do so repeatedly sounds a bit like Anchorman's Ron Burgundy: "I'm kind of a big deal." One of the biggest problems with Aslan's book is that he has several blindspots in his research. The most embarrassing moment of the interview might be when he points out how many footnotes are in the book. The other quote that came to mind was from Hamlet's Queen Gertrude: "The lady doth protest too much." Thank you, FOXNews. We're all just a little bit less intelligent because of you. p.s. Some interesting discussion re: Aslan's qualifications on Jim West's blog. 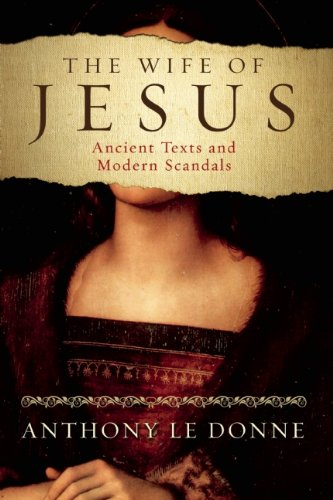 Anthony Le Donne (PhD) is the author of The Wife of Jesus: Ancient Texts and Modern Scandals. At the risk of damning him with faint praise, this guy really gets it. It is greatly encouraging to be understood - I had almost forgotten how much. Posts here and here. Thank you David! And have fun on your bachelor party weekend; don't deconstruct anything that I wouldn't. The idea that Jesus was married continues to fascinate. Look no further than Dan Brown’s The Da Vinci Code for evidence. Or indeed Harvard Professor Karen King’s recent discovery of the so called Gospel of Jesus’ Wife – a piece of ancient papyrus that made the explosive suggestion in 2012 that Jesus and Mary Magdalene were man and wife. But most who address the topic either dismiss the possibility or propound conspiracy theories, often of Christian origins. Approaching the subject from a fresh, historical perspective and without appealing to sensationalist stories or dismissing Jesus’ sexuality on theological grounds, Le Donne places Jesus firmly within his sociocultural context. By investigating gender and marriage norms – as well as a number of social outliers who defied them – he provocatively argues that Jesus might have been married before he was thirty years of age. Le Donne then points to several indicators that suggest that Jesus was a sexual non-conformist and probably was single during his public career. It is a quest that illuminates the humanity of Jesus, while also revealing important connections between ancient sexuality and modern spirituality. After a week of media buzz circa Reza Aslan's Zealot: The Life and Times of Jesus of Nazareth, a few friends have asked me what I think about Jesus' militant uprising. I imagine that readers of The Jesus Blog are more informed than most about such matters (emphasis on the word *imagine*). So I put it to you: did Jesus literally advocate militancy? Back in 2010, I read one of the most scathing book reviews I'd ever seen. Unfortunately, it was of my own book, The Pericope Adulterae, the Gospel of John, and the Literacy of Jesus (Brill 2009). The review appeared in the Journal of Theological Studies and was written by J. Keith Elliott. You can read it here. I should also add that shortly before the publication of the review, I won a 2010 John Templeton Award for Theological Promise from the Forschungszentrum Internationale und Interdisziplinaere Theologie at the University of Heidelberg based on the book. So I received this harsh negative feedback in a context of simultaneously receiving encouraging positive feedback. Elliott managed in the space of about three or four pages to criticize the cover of the book (which I didn't pick), the foreword of the book (which I didn't write), the price of the book (which I didn't set), the fact that I published a chapter in the form of an article too closely to the publication of the book (the time frame for which I didn't control), as well as my chapter titles and dedications. He referred to my dedication of the book to a friend, my mother (for having survived two forms of cancer), my wife, and my (at the time) newborn son as "embarrassing and overblown." He ended the review by taking the words I wrote to my son in the dedications out of context to make it look like I was dismissive of my own study. The problem was not limited to the unprofessional act of dragging an author's dedicatory words to family members into an academic review that, ostensibly, was supposed to focus on the actual content of the book, though. 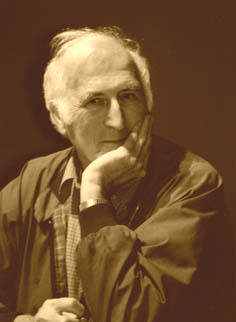 On several occasions, Elliott misrepresented the argument of the book and even attributed to me the precise opposite of what I claim in the book. To this day I have no idea what prompted the review and its tone. I had never met Elliott in my life prior to the next SBL when I made sure to introduce myself and ask a few pointed questions. At the time, I offered no formal public response other than a quick comment on Mark Goodacre's blog when Elliott's review came up in the comment thread on Marks' discussion of another negative book review. Elliott was a very senior scholar in the field of NT textual criticism and I was a very junior scholar. There was no way for me to respond officially without it looking like sour grapes. I did appreciate several blog discussions (here and here), though. Earlier this year, the new editors for JTS learned of the review. They were shocked and invited a response, offering to publish a formal apology before it. That response, including the unreserved editorial apology, has now appeared in the online version of JTS and will appear in print in the next volume. You can access the online version here. Negative criticism is part of academia and to be expected. We are not always right and our peers' job is to point that out sometimes. Thankfully, though, this type of negative criticism is rare. I appreciate the current editors of JTS taking the unusual step of rectifying such an odd review and offering me a platform to respond. Update: Brad Johnson comments on the journal taking responsibility for the review here. Waiting in Mammoth Cave National Park -- so of course the Zimmerman trial was on a TV. Keep in mind. We don't watch TV at home. Christopher (age 8): This is the second strangest trial I have ever heard of. Me: How many trials have you heard of? Me: What's the other one? Me: Yep, definitely the second strangest. Next week, we will read Plato's "Apology". I'm currently in the midst of finishing revisions on my inaugural lecture, "Social Memory Theory and the Gospels: The First Decade," to be given here at St Mary's in October. It provides an assessment of social memory theory applications to the Gospels in the past ten years and, yes, of necessity will engage with recent criticisms that I regard as not wholly out of line but seriously misrepresentative of the breadth of the discussion. I hope this essay will display just how many different applications the theory has already spawned. Regardless, the writing of this (two-part) essay has provided me the opportunity to reconsider Anthony's tree-hugger manifesto The Historiographical Jesus: Memory, Typology, and the Son of David (Baylor, 2009). Anthony is rightly praised for the methodological contribution that this volume makes. It was at the time the fullest application of memory studies to Jesus studies. Furthermore, it did not rely solely on memory studies to make its contribution, but rather situated memory studies against a larger hermeneutical backdrop that included discussions of critical realism, Bultmann, Schleiermacher, and the whole kit and kaboodle. Unfortunately, though, I don't think Anthony has received proper due for just how groundbreaking the second half of the book is. To my knowlege, it is the fullest discussion of the Davidssohnfrage. Anthony argues convincingly that "Son of David," although a Davidic term generally, was more importantly a Solomonic term specifically. He tracks the reception-history of this typological category and thus provides an excellent discussion of how Mark and Matthew, in their own ways, appropriated the category for Jesus. It's an excellent demonstration of the methodological principles of the first section of the book in a concrete example--the Gospel authors were influenced simultaneously by their presents and their inherited pasts. Since I've elsewhere in print criticized aspects of this book, I hope that readers of this blog will take my commendation of these aspects of the study seriously. Anthony's contribution to scholarly discussion of Jesus as "Son of David" is just as pioneering as his memory research, even if the latter gets all the attention and pitchforks. Over at his blog Christianity in Antiquity, Bart Ehrman answers a reader's email about my monograph, Jesus' Literacy: Scribal Culture and the Teacher from Galilee (T&T Clark, 2011), a link to which is below. He speaks positively of the study (and my first book, which he and Eldon Epp published in their Brill series) and gives a useful overview of some of the pertinent issues surrounding this complex, interesting, and controversial issue. Bart and I are largely on the same page, as he notes, but he holds out some possibility for Jesus being able to read Hebrew. So much of this issue must remain unknown ultimately, but I think that's very unlikely. Ossuary inscriptions from the Second Temple period indicate that some level of familiarity of Hebrew existed even at the popular level. But knowing a few words and using them in a funerary context is a far cry from being able to read sophisticated scriptio continua Hebrew documents. 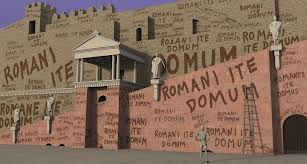 Even in our own context, we wouldn't conclude from tombstones with Latin inscriptions that people in our culture can generally read Virgil's Aeneid, much less read it publicly. These types of literary skills--reading and writing and/or copying lengthy Hebrew texts (and remember that not everyone who could read could also write)--resided mainly among the scribal-elite circles who had the leisure time to pursue such an education. The vast majority of Second Temple Jews living off the land were illiterate, as they had no real use for literate skills and no time in which to acquire them. Bart rightly cites the influential works of William Harris and Catherine Hezser in this regard, who both show that there was nothing like a public education system that reached the majority of the populace. But even among the minority scribal elite who did receive an education, not all attained complete proficiency in reading Hebrew. One of the documents from the Qumran community, 4Q266, includes a statement that members were not allowed to read Torah publicly unless they could do so without having to "sound out" the words. And despite what many people say, there is absolutely no reliable evidence that reading and writing education occurred in synagogues in the first century. That is a projection of our own literate society onto the world of Jesus. There is no solid evidence that there was an elementary school in the synagogue at Nazareth, much less that Jesus attended it. The New Testament showcases a disagreement between two Gospel authors as to whether Jesus resided in the scribal-literate class. I've published in great detail on this issue in Jesus' Literacy and Bart cites this important Gospel disagreement in his post. Mark 6.3 has Jesus rejected in the Nazareth synagogue as a teacher because he's a carpenter. Luke 4 also has Jesus rejected, but not because he's a carpenter. Luke even attributes public reading of the Scripture to Jesus. So Mark thinks Jesus is outside the scribal-literate class and Luke thinks he's inside it, though both agree that Nazareth wasn't the highlight of his teaching career in the eyes of his contemporaries. Interestingly, John 7.15 simply reports that one of Jesus' audiences was confused about his scribal-literate status. I've argued extensively in Jesus' Literacy that the most likely historical scenario is that Jesus did not hold scribal literacy, but that some of his contemporaries probably thought he did. This is the launching point also for my newest book, Jesus against the Scribal Elite. Let me state two others things quite clearly. First, saying that Jesus could not read the Hebrew Scriptures is not the same as saying he did not know them. I think he clearly did know them, even intricately, but this type of knowledge acquisition was available through the public reading of Scripture in synagogue. Second, saying that Jesus was a scribal illiterate is not the same as saying he was stupid. This is another projection of our world onto the world of Jesus. Most people in industrialized societies today receive an elementary education. This simply was not the case in the ancient world and the vast majority (90% to 95% or even higher) were illiterate. If you're interested in these issues, here's a link to the paperback (and cheaper) edition of my book. If nothing else, I hope that Bart's discussion and this post indicate that the issue of Jesus' literacy is not simply a novelty topic. It relates directly to what type of teacher Jesus was and thus how he was received by his audiences (hostile and friendly). All the Gospels agree on that. I’m happy to say that my new book, Jesus against the Scribal Elite: The Origins of the Conflict, is now available for preorder on Amazon thanks to the great team at Baker Academic. You can follow the image below. The book is, I think, scheduled for publication in April 2014. To my knowledge, this is the first book that deals with the very early period of the conflict between Jesus and authoritative Jewish teachers, asking how it was that Jesus came to be on their radars in the first place. Most historical Jesus studies consider the controversy as a starting point itself that eventually led to the crucifixion. This is correct, but overlooks the interesting issues involving how there came to be a conflict at all. How is it that Jesus, unlike thousands of Second Temple Jews, came to gain their attention and concern? Several chapters function as a more accessible version of the argument I forwarded in Jesus’ Literacy: Scribal Culture and the Teacher from Galilee concerning the historical Jesus’ scribal-literate status. But this book moves beyond that argument and considers the broader exegetical and historical implications of it, specifically as it relates to the controversy narratives where Jesus argues with scribes, Pharisees, and others. I’m back from the Peter Conference at Edinburgh and the international Society of Biblical Literature conference after it, the latter of which this year took place in St Andrews, Scotland. It was absolutely beautiful weather for almost the entire time. I like international SBL because it tends to be more low-key than the annual meeting. Really, the people who come tend to be locals wherever it’s held, young scholars trying to get paper presentations on their CVs, and established scholars with research budgets who use the international meeting as a vacation. It’s a great mix and I enjoy it. In fact, no he does not have a "beef" even "to a lesser extent" with Allison (as the short rejoinder makes clear), nor does he come close to placing Allison in the same category as McIver (in any way other than an interest in the gist of Jesus). And nor, does he refer to Le Donne as "conservative." And no less, Le Donne is complimented and set apart from the other repeatedly in the article. Sorry folks, no irony here. Memory theory is being used, if not explicitly to buttress the reliability of the gospel portraits of Jesus, to do so implicitly by shifting the search away from the ipsissima verba Jesu toward the memory of Jesus. Rather than argue about what Jesus did not or did not say – the reliability wars – scholars now sidestep the issue by arguing that memory is inherently reliable in a broad or general way. Thus, the gospels are reliable not at the level of detail, but at the level of broad memory, impact, or gist. In this paper I argue that such optimism can only come by selectively quoting the troubling work of memory theorists, and by ignoring the full implications of memory theory. I do thank you for the kind words you say about my book in your essay. It does seem, however, that throughout your essay you refer to "conservative scholars" generally. As I am your chief conversation partner in this essay and you take issue with my use of the word "reliable", I could not help but understand the phrase "reliability wars" to be suggestive of warring camps. I would be interested to know: who are these warring camps in your estimation? Those who followed our "child sacrifice" discussion last week might be interested in this post by James McGrath. I was reminded that poet Percy Shelley died on July 8th of 1822 (anniversary yesterday). 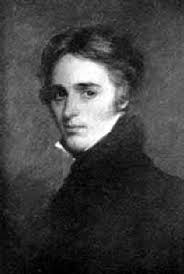 Shelley was one of those rare boy-geniuses whose body of work suggests a lifetime much longer than it was. He died before his thirtieth birthday. I gained an appreciation for Shelley from a college friend, but never knew about his musings in historical Jesus research until Dale Allison's Resurrecting Jesus (pp.59-60). If, as it seems, Jesus muted the element of vengeance in his eschatological language; if in accord with the tradition about him, he proclaimed that God seeks the prodigal and graciously rains upon the unjust; and if, in the early sources, he shows no interest in either Joshua or Judges, books featuring violent holy war—then surely we might wonder whether he would have been comfortable with a traditional hell... To my imperfect knowledge, the earliest argument along these lines is about two hundred years old. It comes not from a theologian or biblical scholar but from a Romantic poet, Percy Bysshe Shelley, who lived before anyone knew the ABC's of source or redaction criticism. In his essay "On Christianity," he argued that the evangelists "impute sentiment to Jesus Christ which flatly contradict each other." Jesus, according to Shelley, "summoned his whole resources of persuasion to oppose" the idea of injustice inherent in hell; Jesus believed in "a gentle and beneficent and compassionate" God, not a being who shall deliberately scheme to inflict on a large portion of the human race tortures indescribably intense and indefinitely protracted" (Shelley, The Prose Works of Percy Bysshe Shelley, 1:260, 253). "The absurd and execrable doctrine of vengeance seems to have been contemplated in all its shapes by this great moralist with the profoundest disapprobation" (1:252-53). In biblical studies, is it a virtue to be comfortable with ambiguity? It has come to my attention that Chris and I have been slotted in competing sessions at our conference in Baltimore. We're both scheduled at 4pm on Monday, November 25th. I have provided the roster for both sessions below. The first session features authors who have contributed to the use of "social memory" in Jesus studies (Keith and Rodríguez) alongside two recent critics of the use of memory in this field (Crook and Foster). The second session features a panel review of Dale Allison's long-anticipated International Critical Commentary on James as a platform for Jewish-Christian dialogue. If given a choice between these two, which would you choose? You can vote above and comment below. Anthony was kind enough to congratulate me a while ago on winning a research award here at St Mary’s University College for my essay, “The Indebtedness of the Criteria Approach to Form Criticism and Recent Attempts to Rehabilitate the Search for an Authentic Jesus.” This essay is my contribution to my and Anthony’s co-edited Jesus, Criteria, and the Demise of Authenticity (T&T Clark, 2012) and extends a line of argumentation that I first forwarded in an article (Chris Keith, “Memory and Authenticity: Jesus Tradition and What Really Happened,” Zeitschrift für die neutestamentliche Wissenschaft 102.2 : 155–77). T&T Clark, great folks that they are, have agreed to let me accept an invitation to put a slightly revised version of this essay on the Bible and Interpretation website. I’m working toward that and will post here once it’s live. In the meantime, I include the abstract of the essay that I submitted for the award competition below. Most Christians believe in some form of supersessionism. This is to say that most of us believe that God chose Israel to bring Christ into the world for the ultimate purpose of establishing the Church. Or put another way: the teleology of God's covenants with Israel find fruition in Christianity. The implications of this belief should be (I say should be) obvious. Christian supersessionism fits hand-in-glove with anti-Judaism. We're sorry for those poor blighters, but God just can't bother with those old promises anymore. Never mind what Paul says in Romans 11; we'd rather have a neat soteriology. I am predisposed to like this post because it promotes my blog. But I better appreciated McGrath's link to Gavin Rumney's reflection. See my comment after the McGrath offering.